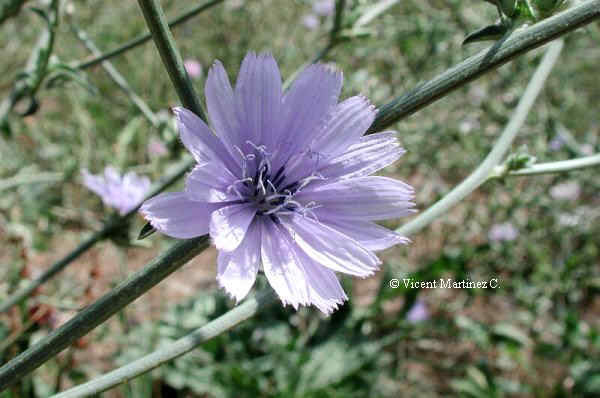 Photo of Cichorium intybus L.
Perennial plant of the Daisy family -compositae- up to 1 m. Erect stems, glabrous o bristly, very irregularly branched. Basal leaves in rosette, toothed; upper ones very small, with smaller teeth. Flowers till 4 cm., blue. By the side of paths, roadsides and dry lands.